Qatari Sheikha Moza visits pyramids in Sudan. https://www.thepeninsulaqatar.com/article/13/03/2017/Sheikha-Moza-visits-pyramids-in-Sudan-restored-with-Qatar-help. 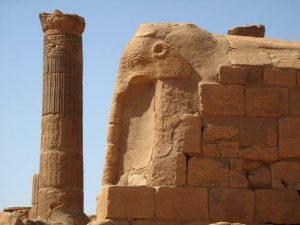 The $15 billion dollar investment by Saudi Arabia in Sudan’s infrastructure, and another $11 billion invested by the UAE simply dwarf Qatar’s $135 million contribution to restore and preserve Sudan’s ancient monuments. 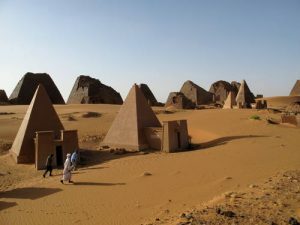 Yet the 40 international projects (French, German, and Polish) presently funded by Qatar could rewrite Sudan’s ancient history, and their discoveries might encourage tourism and cultural-related employment that could revitalize the country’s damaged economy. 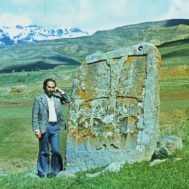 The research currently being developed is said to already be filling in significant gaps in Egyptological studies and the history of the ancient world. It’s doubtful that will continue to happen, according to Yousra Elbagir, writing in the Financial Times. 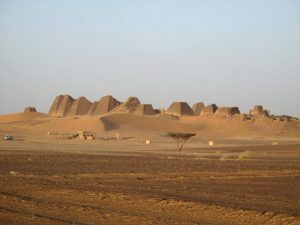 The Sudanese government has repeatedly given development, and its related influx of foreign funding, priority over the preservation of heritage and monuments. A series of five reservoirs are planned – with three new dams to be built by Chinese companies. Dam building at Merowe, which doubled Sudan’s electricity generation, has already resulted in displacement of 50,000 people from the Nile Valley to arid desert locations. Protests were violently suppressed, amid reports of serious human rights abuses. The next projects, the Kajbar and Dal dams, will displace another 10,000 and 5-10,000 people respectively. 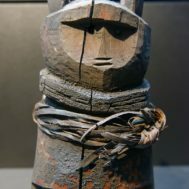 Human rights advocates say that the whole history of Nubian culture will disappear. More than 120,000 Nubian people were forced to move from ancestral lands in Egypt and Sudan for the construction of the Aswan Dam in the 1960s. They say that construction of the 110 square kilometer Kajbar Dam will destroy the last of the Nubian homelands. Nubian protesters allege that the dam plan is a form of ethnic cleansing that will completely eradicate Nubian culture. In a 2011 article for International Rivers, Peter Bosshard details the financial entanglements and allegations of corruption and human rights abuses associated with past construction contracts in Sudan and along the Nile. 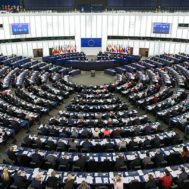 Despite these efforts, and despite the support from Qatar for the reservation of dozens of monuments in threatened areas, nothing seems to have changed. Indeed, given the current strain between the Saudi and Qatari governments, Qatar’s commitment to preserving ancient monuments rather gives impetus to Saudi Arabia to pursue the opposite path.